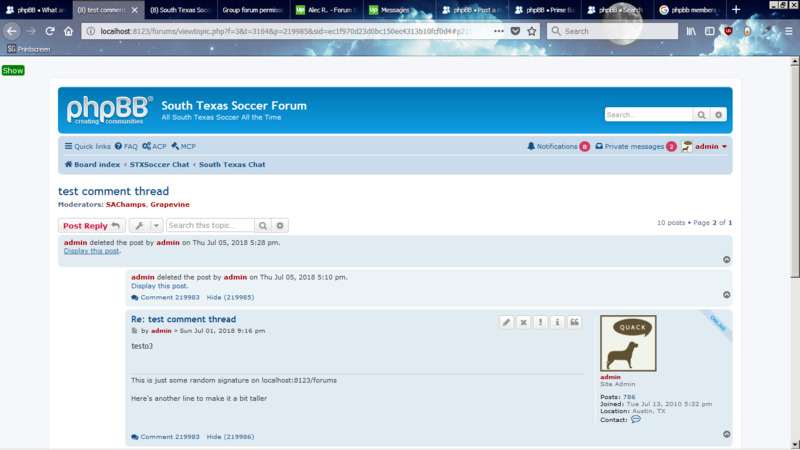 phpBB • Showing soft deleted posts to members? Showing soft deleted posts to members? I need this functionality for reasons. Re: Showing soft deleted posts to members? Edit: built this into the extension I'm writing but it needs an event that I PR'd for 3.2.4.